Affordable Bluetooth headphones with great sound. The AKG Y50BTs represent a new breed of exceptional on-ear headphone for people demanding more: more quality, more convenience, more flexibility. Their inspirational performance is matched by a bold styling and a lightweight, comfortable fit that redefines the category. This is the Bluetooth-enabled version of the Y50. Their closed-back design eliminates any other sounds beside the ones you want to hear, providing a snug, comfortable fit. Choose a look and color to complement your personal touch. Removing those external sounds you’d rather not hear allows for a distraction-free environment with which to fully concentrate on the acoustics you’d prefer to hear – as it should be. Headphones may sound great but unless they’re comfortable, they won’t wear well over time. The AKG Y50s lightweight construction and closed ear-cup design are engineered to feel like they’re barely there – yet provide you with a listening experience to fit your discerning tastes like a glove. Keep connected for work or for play while you choose between taking a call or riffing on a favorite tune – all without skipping a beat. Compatible with most smartphones, AKG Y50BTs address your on-the-go lifestyle but leave the decisions of what to do next up to you. AKG Y50s adhere to your on-the-go lifestyle, designed to fold down neatly for safe storage in a compact, protected pouch. This keeps them safe when you’re not using them – but ready to come into play whenever you need to take them with you. 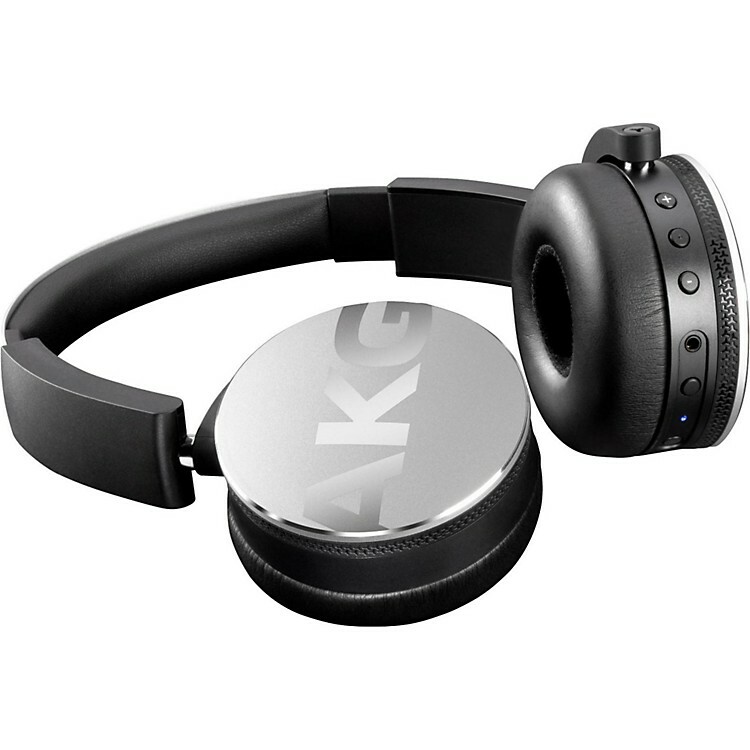 Cool color options with emphasis on smart, tasteful design and AKG branding The AKG brand is something you can be proud to wear as they represent the very best in sound quality, making an overall statement that speaks highly of your personal taste and standards. There’s no reason why something that sounds so good shouldn’t look the part – so choose the color and overall look that best complements your personal style. Bluetooth wireless headphones with 20-hour battery life. Order today.